We ask our volunteers to cover their own expenses. In a group, volunteers can create change within a short time frame. 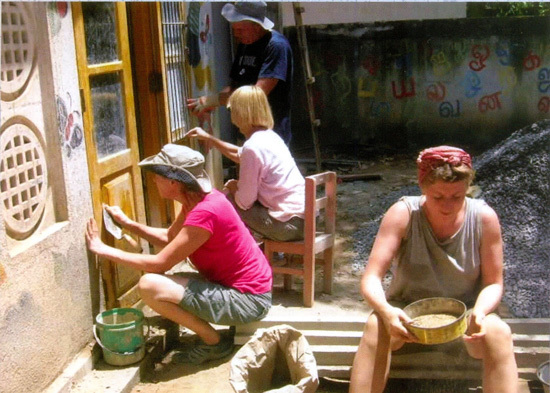 In cooperation with Aid Camps, volunteer groups have successfully completed projects for the local communities. Whether you want to do contruction work or have a project you want to conduct with children, SERVE will help your project have a lasting impact on the local community. 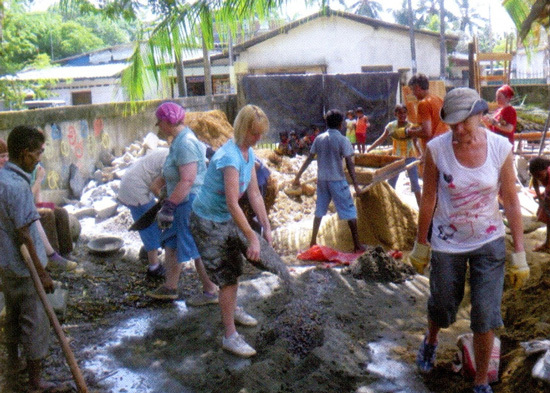 We have had volunteer groups do different projects over the years. Community Centres and other houses build years ago by volunteer groups are used every day by children and mothers. SERVE will help your group to design a project that has a lasting impact and find the right partners for you. With our support we want your group to focus entirely on the project to have the maximum impact on the community.